Serve chilled with BBQ ribs, chili, pasta or buffalo chicken wings. Can I order call me a cab by the bottle or only by the case? Do you ship to OH? Sorry, but we cannot ship to Ohio. Can you ship to Pennsylvania? What is the minimum order? Call Me a Cab is really good! I’m sorry, but we cannot ship wine to Pennsylvania. Can you ship to NJ? I’m sorry, but we cannot ship to NJ. 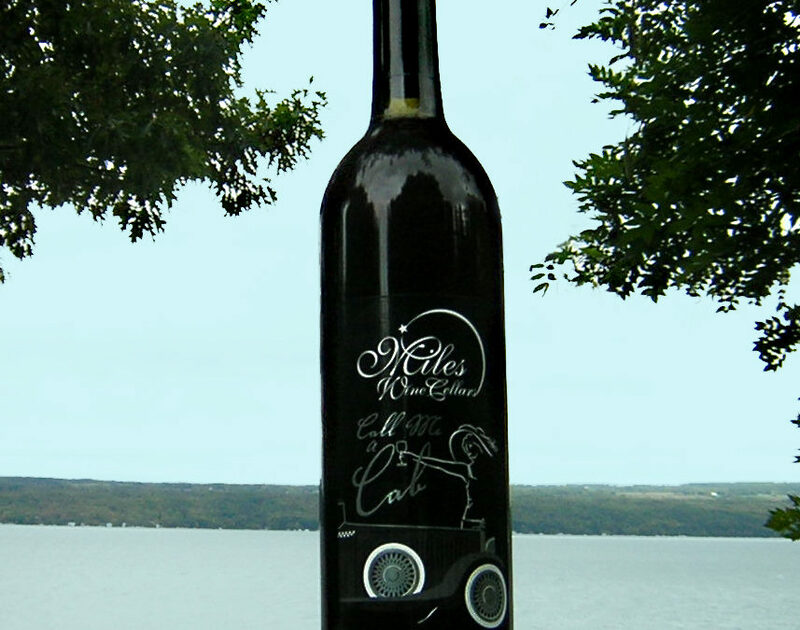 If you have any other questions feel free to give us a call at 607-243-7742 or email us at info@mileswinecellars.com. Has the ban to ship wine to NJ been changed? Can you ship to N.C. ? Yes we do currently ship to North Carolina. The way that you would order is by contacting us at 607-243-3827 and we would be happy to help you. Can you ship to Georgia? I recently gave my brother a bottle of Call me a Cab and now he is a huge fan. The problem is, he lives in Georgia. Thank you! We do ship to Florida, North Carolina and New York. You can order all our in stock wines online. As new releases are added to our inventory we will add those to our online inventory. I’ve heard that there was a possibility that you would soon be able to ship to PA. Is this rumor true? I know recently PA laws changed about shipping wine. Any chance you will ship to there in the future? I was all set to buy a case. I love your wine! We are delighted that you enjoy our wine. We are working on applying for our licensing in PA. Due to such high demand since the new changes, we are hoping that we are able to ship there by winter. Hi. Can you ship to PA. Now since the laws have change? Hi Jennifer, can you call our winery and we’ll discuss the options with you. (607) 243-7742 Thanks.